Taleggio, since ancient times, has been associated with Valsassina and it is considered to be “the prince” of cheese dairy tradition of the valley, where the presence of natural caves and fresh favourable microclimate gives this cheese a unique inimitable taste which seals its success. It is made of whole cow`s milk, it is soft, raw with average seasoning and washed rind. The crust is thin, wrinkled, pink coloured blooms with a few bluish-gray mold. The paste is smooth, compact, melts in your mouth, with sparse and fine holes in the softer and more crumbly under crust centre. The flavour is sweet and aromatic with a touch of reminiscent sour yogurt. 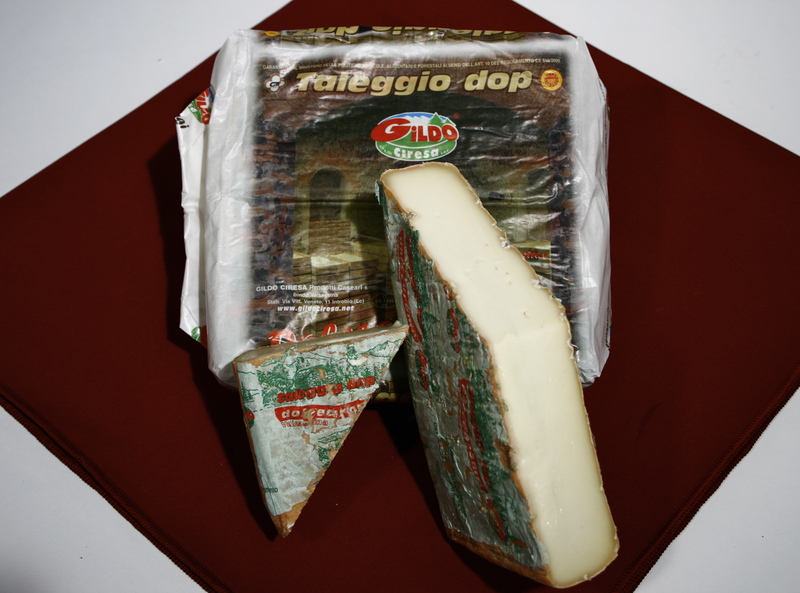 Taleggio cheese is recognized and protected by designation of origin (PDO/DOP). Produced by an-artisan style, family-run dairy business Gildo Ciresa in Italy. Click here to find out more. It is best served at room temperature to bring out flavour and aromas. It lends itself to the variety of recipes to enrich pasta dishes, melts easily, goes well with many foods. In the original recipe of Valsassina it is the main ingredient for the preparation of “polenta taragna”. Ingredients: whole cow's milk, rennet, salt. Maturing takes place in natural caves for about 45 days during which a number of frequent operations and sponging with a solution of water and salt takes place. Store in a refrigerator at + 4 ° C .